New and Updated Content to the World Topographic Map is Available! The most recent World Topographic Map release includes new Community Map contributions for several cities, counties and facility sites across Australia and the United States. These contributions help enhance content in the Living Atlas of the World and adds value and usability to Esri’s online basemaps. 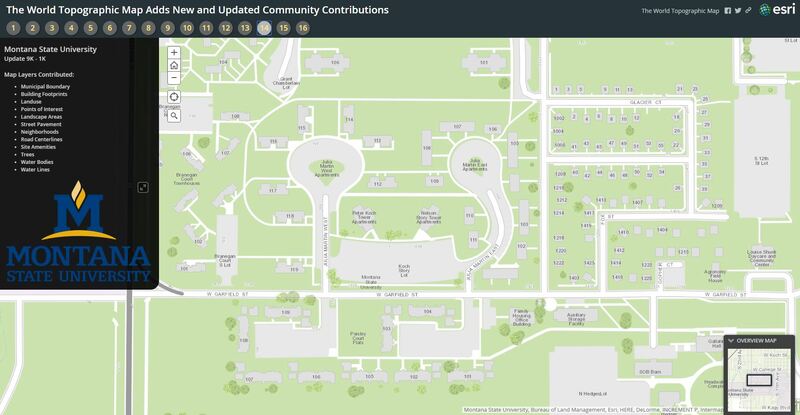 Through the Community Maps Program, Esri continues to incorporate useful large-scale features as these examples will show. See information below about becoming part of this community. Click on these images for an enlarged view. If you have previously used the World Topographic Map, you may need to clear your cache in order to see the updates.